Our largest owl by dimension weighs significantly less than Snowy or Great Horned Owls. It’s soft call is a steady drumbeat of hoots: *Hoo. Hoo. Hoo. Hoo. 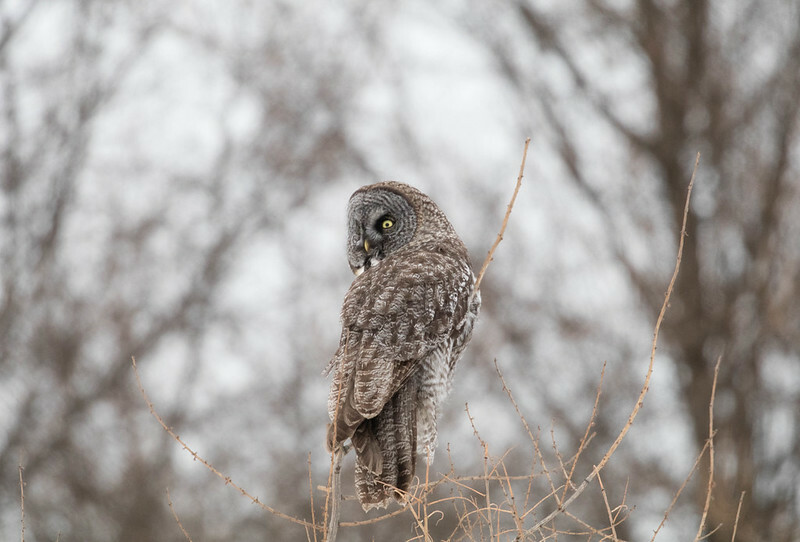 Hoo.” Despite its massive size, this owl specializes on tiny prey, especially meadow voles.